This was a lovely story and I enjoyed being immersed in Lisbon and what life is like there. Ms. Bentham used wonderful imagery throughout the story and transported me to Lisbon. I felt like I was there as I read. I adored Martim and Sean. They both had struggles to overcome when coming back together again. There were a few times I wasn’t sure they were going to make it. Sean was so buttoned up but hurting so much at the start of this story. He was so unhappy, but not obviously so. That aha moment didn’t come until far later in the story than I expected. Sean needed the time to come to those realizations on his own though. His germ phobia is glossed over a little bit. I felt like that needed to be addressed more since it directly affected the story and Martim and Sean’s relationship. I adored seeing Sean figure out what is important to him and go for it. He was so happy by the end of the story you could tell he made the right decisions. Martim hurt my heart right from the beginning. You could tell how much he regretted his actions in the past. But he was so strong for moving forward with his life and working to forgive himself. You could tell he still loved Sean even when they were at odds with each other. I enjoyed seeing how he handled himself and coming to terms with the full ramifications of what happened before. Martim was sweet and I loved getting to see him happy at the end of the story. These two had the sweetest happily ever after. I adored the epilogue and getting to see that full happy ending. You can see their love and know they’re going to make it long term. I kind of want to see them again later down the line to see them still happy for many years to come and how the hotel is fairing. But also to get more of the feeling of being in Lisbon because it’s fabulous represented and described. I wouldn’t say no to more of that feeling. Dev: For the most part I write in silence. I find music distracting. If there’s a lot of noise around me and I’m having trouble concentrating, sometimes I’ll listen to an instrumental. If there are words I get pretty confused. Dev: I write part time, which is why Buyout—A Love Story is the first book I’ve had come out in a year. My day job is as an online science teacher, which gives me the flexibility to write, but it does take time. I also coordinate the local community garden in the summer, another time sink but one that’s close to my heart. Dev: I would like to find the time to write more but I don’t think I’d like to be a full time writer. While I don’t always love my day job, I like the combination of security and flexibility. I’ve been an entrepreneur before (once upon a time I owned a clothing store) and hustling to make sure I earned enough to pay the bills was very stressful. I admire people who make the leap from part time to full time writer, but I doubt I’m temperamentally suited for that transition. Dev: My to-do list says I’m supposed to write 1000 words or edit 2000. It’s been at least a month since I met either of those marks. But when things are going smoothly that’s my goal. Dev: Depends. I enjoy the NANO (National Novel Writing Month) every year but I never follow the rules so I usually come in with one novel, finish it sometime during the month and start the next one the following day so that I can make the 50,000 words in 30 days mark. The other eleven months of the year I’ll usually give myself at least a week off. My perfect rhythm is to finish a book and take a few days off to do all the stuff I put off when I’m finishing a novel (clean my office, talk with friends, get some exercise, pay attention to my spouse etc.). I like to let drafts sit for a while before editing, so my next project after I finish a story might be to start writing the next one, or it could be more editing. It usually takes me longer to edit a book than to write one and about half the time I slide straight from editing one draft to editing another, which means that I can go months without writing any new words—other than flash fiction, which I send out in my newsletter every month (I’ll put a link to the newsletter below in case anyone is interested in getting these little stories). The other half of the time I’m all new words, drafting one book after another. It’s sort of a feast or famine approach to writing, but so far it’s been working for me. Thanks for these questions, Molly. Writing is such an individual process. I’d love to hear how it works for other people. Are you a binge writer like me or more systematic? I wonder if there’s a correlation between other personality traits and writerly habits. In general, I’m not good at the maintenance part of life. Maybe that’s why I write in spurts. How about you? 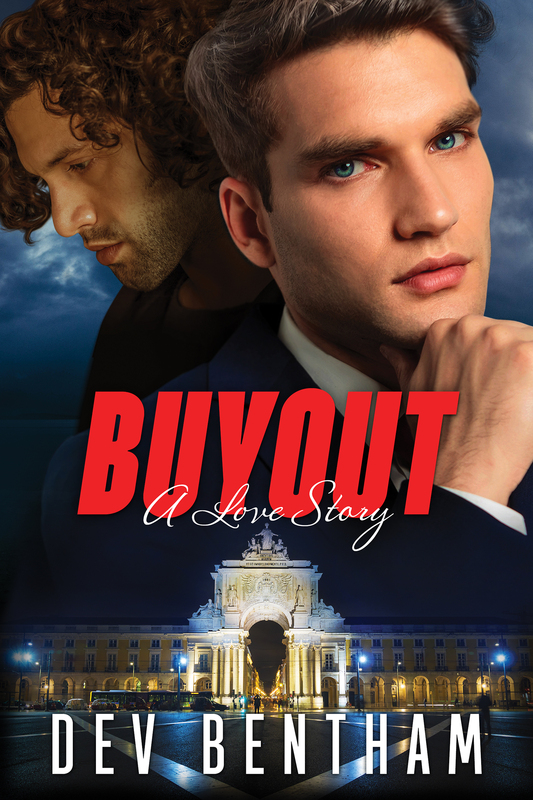 This entry was posted in Interview, Reviews and tagged Author: Dev Bentham, Contemporary, Gay, HEA, Location: Lisbon, M/M, Molly Reviews, Profession: Hotelier, Rating: 4 stars, Reunited Lovers/Second Time Around, Slow Burn. Bookmark the permalink.